For as long as we've been building machines to go reasonably fast, there's been a select few who make them go unreasonably fast. And with the invention of the internal combustion engine, the speed (and the stakes) got even higher, and we've been fascinated since. 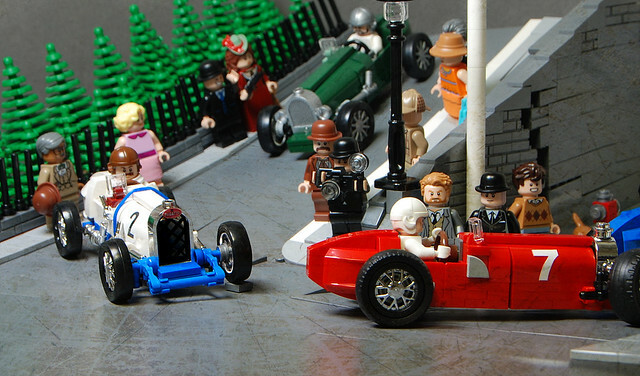 Like this scene marvelously recreated by builder Pixeljunkie of 1929 Monoco Grand Prix featuring his beautiful Bugatti, the crowd loves it.